Held at the Venetian Las Vegas from April 15 to 17, the KDA dealer meeting drew a crowd of more than 1,200 attendees, including Kyocera and Copystar dealers, from the United States, Canada, Latin America and Mexico, as well from Europe and Japan. According to Norihiko Ina, president and CEO of KDA, the U.S., Canada and Latin American markets experienced 5% year-over-year growth, while Mexico grew 6%. Is It Safe To Use Other Brands Of Ink In My Printer? As businesses expands so does the amount of office equipment and supplies. If you have multiple brands of printers, it can become confusing and hard to remember how many printers of what brand you use. The good news is you can stop stressing out about brand names. 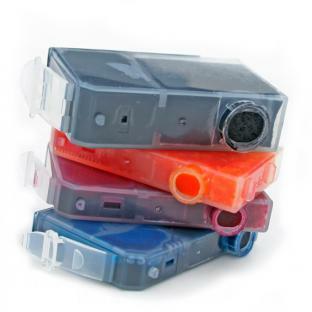 Printers will accept and use multiple styles of cartridges including recycled cartridges, refill kits, and name brand cartridges. Always consult your equipment manual to learn what type of ink and toner you need and ask an expert about different cartridges that are available that match your needs. Read more about Is It Safe To Use Other Brands Of Ink In My Printer? Signage Can Add To Your Office Culture! Printing in house isn’t just for charts, reports and figures. Think about the areas in the office you use signage: bathroom labels, fire exits, out box/in box, etc. When you have the resources to print in the office you can make your office more work friendly and also fun! 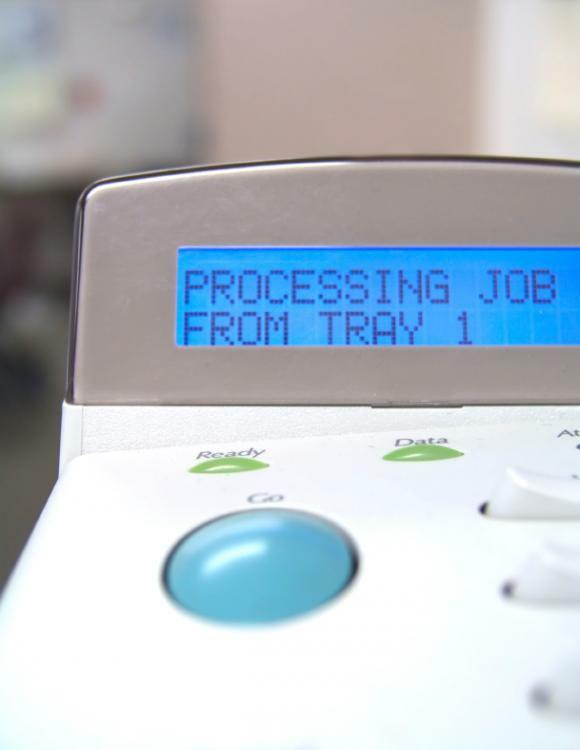 Communication is key in any size of workplace and sometimes printing could be the key player. Proper Labels – Having proper labels in the office makes finding and replacing office resources more effective. Stop spending time looking for the printing paper or the “outbox” for mailing; have the location labeled for everyone to see. Read more about Signage Can Add To Your Office Culture! Going Green: If You Talk The Talk, Walk The Walk! Everyone says they are “going green” or have plans to “go green”. 61% of small businesses are actively trying to be greener and 70% of the small businesses not yet going green anticipate changing to green in the next two years. Offices like to be a part of the green movement and honestly, businesses can make a huge difference with reducing waste and reusing valuable resources. The most common problem is getting started! 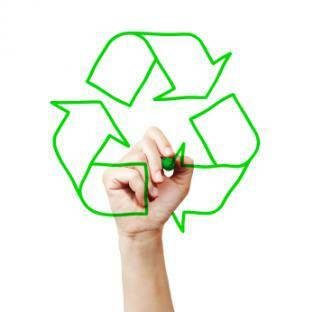 How do you change the way your office and your clients think about recycling and reducing waste in the office? Changing a habit is a big hurdle to clear, but once the “green” initiative is in place, the rest of the battle is a piece of cake. Read more about Going Green: If You Talk The Talk, Walk The Walk! “We believe these new products are a perfect fit for the light-production market that continues to see prints trickle down from traditional offset printing methods,” said Kent Villarreal, senior product manager, product planning and marketing, for Sharp Imaging and Information Company of America. “These devices are completely modular, and can be configured to either fit into a front-office marketing department requiring high quality printing for proofing, or in more demanding light-production environments that require professional finishing and the ability to print on-demand. HP Officejet Enterprise Color Flow MFP X585z: How Does it Compare to the Original? Designed for five to 15 users, the new product looks even more like a laser MFP than the initial Pro X model, which was recommended for up to 10 users. And it’s priced like one, too ($2,799, estimated street price, for the scan-optimized “Flow” version pictured at left). That’s a whopping $2,000 price increase over the Pro X model. Do users really get an enterprise-class MFP to meet the needs of higher-volume workgroups or is it just a repackaged version of the original with a hefty markup? Today it seems like everyone has a computer, laptop, tablet, smartphone and every other device technology comes up with. What all these devices have in common is they are more then likely jam packed with memories. Some devices hold pictures; some hold passwords, and some hold important emails. If you haven’t backed up your files from your devices, you are in danger of losing all of your files and pictures. Even the best IT personnel can’t always recover lost files or recover files from a stolen device. It doesn’t matter what size of company you have or work for and it doesn’t matter what office supplies you need, you can find the recycled equivalent. 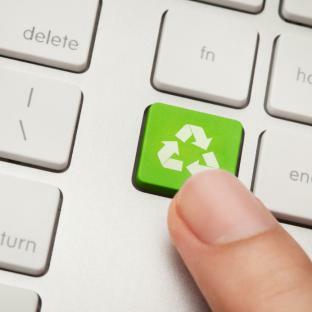 Going green is a booming subject for most businesses; but it’s easier said then done right? There are more options then ever for businesses to be green and the larger the business that is green the larger the impact. With recycling on the rise, the job market is opening up. With a larger volume of businesses going green, recycling companies are able to create more jobs to keep business running smoothly. These jobs range from truck drivers to engineers to customer service representatives! This also helps create jobs for refurbishing and remanufacturing companies. Fujitsu recently announced a new scanner rental service called RentScan by Fujitsu designed to cater to any business looking for short-term capture functionality. The company offers monthly rental agreements for its 60-ppm (120 ipm) fi-6140Z/fi-6240Z series, 90-ppm (180 ipm) fi-6670/fi-6770 series and 130-ppm (260 ipm) fi-6800. However, additional Fujitsu scanners may become available for the service at a later date. According to Marni Carmichael, senior director of Fujitsu’s Enterprise Communications Management, the ScanSnap SV600 may be the next scanner available for rent. The SV600, which retails for $795, is an overhead scanning solution designed to capture images without contact. According to Carmichael, Fujitsu’s scanner rental rates are fixed monthly fees based on the customer’s anticipated scan volumes. Carmichael said a typical 30-day rental agreement for the fi-6670 will cost $799, which includes maintenance and remote installation. On-site installation can be performed for an additional fee. For organizations looking to digitize large volumes of documents in a short amount of time, $799 is probably a lot more attractive than purchasing the fi-6670 outright, which has a suggested retail price of $5,995. Today, it's the managed print service itself that needs differentiation. The market for print management services, while still growing, is maturing, according to industry executives. Competition is keen as managed services providers (MSPs), printer manufacturers, copier dealers and printer resellers all vie for customers' attention. 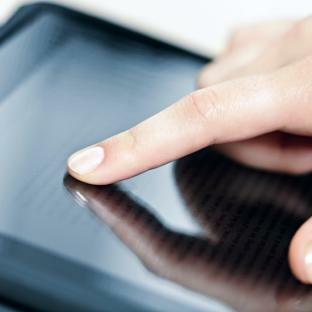 Market participants feel pressure to stand out from others in the managed print crowd. They also need to do more for customers that have been under managed print contracts for several years and are looking for additional benefits.